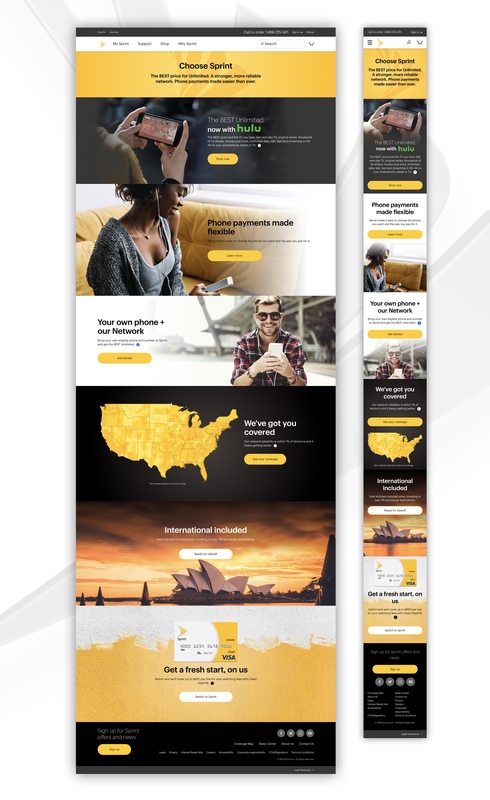 Used as a primary navigation destination as well as a keyword hub for organic search, the Why Sprint marketing page served to outline Sprint’s best non-device offers. Segmented for base and prospect customers, this page served up personalized content that evolved based on above-the-line marketing initiatives. Content strategy was based upon a series of evergreen offers whereas seasonal or high visibility customer inclusive ads were presented in the highest visibility areas.